Will the sessions and events be avaialable later to look at on your Web site? I totally agree with “the growing importance of social networks as one aspect of a major shift in how people learn.” It’s just unfortunate that most educational entities and governmental agencies are still blocking most forms of social media. Every student or employee should look at developing and expanding their personal learning network. Completely agree with your comments on social learning and like you I believe it will have a far bigger importance than any formal course that you can take. I work for a company called Fusion Universal and we live and breath this stuff everyday and are really pushing to win people over on the importance of informal learning on the job. We have some great ideas and its a shame that the conference is out in LA otherwise we would be there. 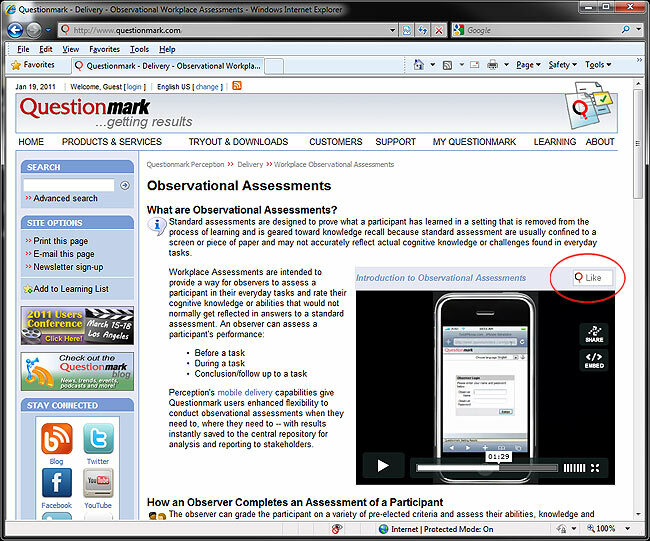 We will post some of the conference handouts to the Questionmark Communities Space post conference.